NetSetMan - программа, позволяющая быстро переключаться между шестью различными сетевыми конфигурациями. Программа окажется особенно полезной для тех, кто часто переключается с одной сети на другую, ведь каждый раз, когда необходимо подключиться к одной определённой сети, приходится выставлять нужные ей настройки. 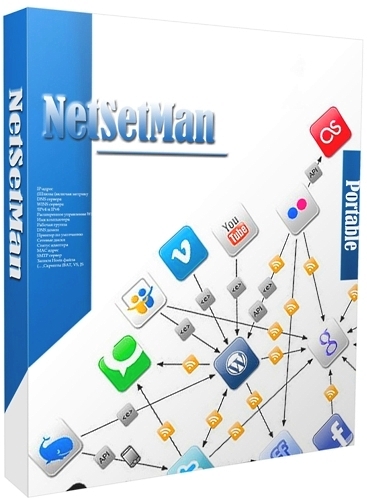 NetSetMan allows you to quickly switch between pre-configured network settings. The program is ideal for people on the road, who frequently connect to different networks and need to update or reconfigure their network settings each time.NetSetMan eliminates the need for manual configurations, you can simply create different profiles to store your network configuration, and then switch between them with the click of a button. NetSetMan can apply configuration settings for IP address Subnet Mask, Default Gateway, WiFi, Printer, DNS servers and more. The free version is limited to 6 network profiles, which is more than enough for personal usage - commercial usage requires a license.